Researchers managed to construct a three dimensional (3D) portrait of two nymphs that inhabited our planet 305 million years ago by scanning their fossils with X-Rays. At the moment, they are by far the most detailed pictures of juvenile insects that inhabited that period; nymphs are the immature form of some invertebrates, particularly insects, which undergo gradual metamorphosis until they reach their adult stage. Aside from being downright incredible in itself, this achievement is also quite useful for future research, especially as one of the insects belongs to an unknown species and even genus. This specimen is characterized by sharp spines on its body and head; scientists have named it Anebos phrixos, which is Greek for “young and bristling”, while the other one is quite similar to a modern cockroach. However, the classification is very difficult because their adult stage could have been significantly different from their nymph form. The technique used in this case is called X-ray microtomography and it is used to obtain cross-sections of the fossils, each about 2 centimetres long, both found in France, in Montceau-les-Mines Lagerstätte. Then, using these sections, scientists were able to construct accurate 3D models of the insects. For now, this provided valuable insight about the lifestyle of these younger insects; the roach-like insect for example has well-preserved mouth parts which suggest it fed off of rotting matter on the bottom of the forest. “The spikes of Anebos phrixos may be interpreted as an evolutionary strategy to avoid being eaten by early amphibians’ ancestors, which had arrived on land about 70 million years before this insect was born,” adds Garwood. However, as this method is developed and perfected, we can move on to more complicated matters, and extract even more information – something definitely worth keeping an eye out for. The year is 305 million BC. How does the world look like? We’re nearing the end of the Carboniferous period, the period in which the most coal beds were formed (hence the name). Life, both aquatic and terrestrial is pretty much settled in this period – amphibians rule the land mass, and some of them already start evolving into reptiles. Arthropods are very common, but they are generally much larger than the ones we see today. 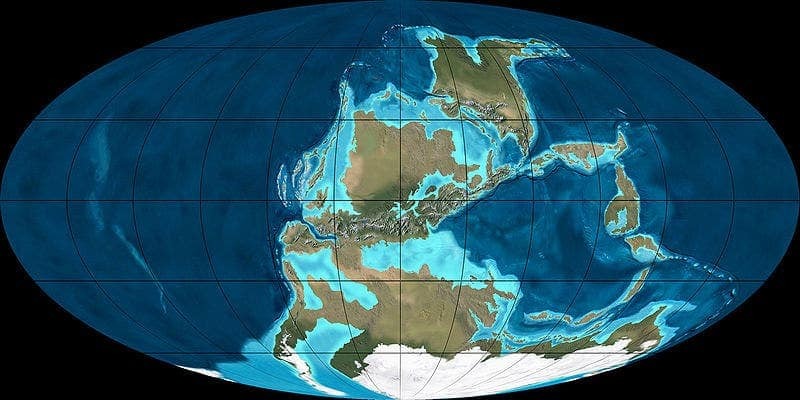 However, by now, the Carboniferous Rainforest Collapse (CRC) already took place, as a result of changing climate, from hot and humid to cold and arid – but don’t worry, this will change back a hundred million years from now. In fact, it is this move which will hit deep into the amphibian biodiversity, favoring early reptiles which were much more adaptable, and which will someday go on and become dinosaurs.